This prompt couldn’t have come through on a better day. 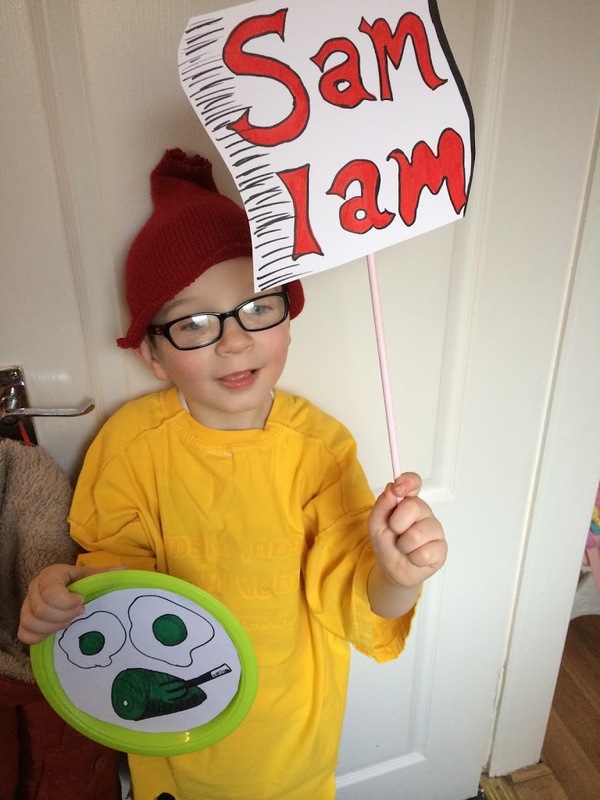 On Friday I sent my oldest boy Lucas off to school dressed as the boys favourite book character Sam from Green Eggs and Ham by Dr Seuss. They love this book. I made the outfit myself as you can see, but I thought it was pretty good. It was for World Book Day, albeit a day late. Did your children dress up for World Book Day? He’s a cute little fellow!